In an open letter to Prime Minister Binyamin Netanyahu and other government officials, leaders of the Ethiopian community in Israel have asked the government to back off from plans to allow the entry of an additional 8,000 Ethiopians who are awaiting permission to enter Israel. The group awaiting entry to Israel are not Jews, but Christians, despite their claims. A 1974 poll by the Joint Distribution Committee said that there were some 28,000 Jews in Ethiopia, the letter writers said. “Despite that, more than 50,000 people have arrived in Israel as part of the Falash Mura. We are not making up these figures, they are all documented and in the hands of the government,” the letter said. The community has not acted against the government’s policy of admitting all those who claim Jewish ancestry because of “fear,” the letter said. “There have been threats of murder by the Falash Mura and the Christians who have immigrated here against anyone who dares speak out against them. They have a great deal of support in institutions here in Israel – after all, they outnumber us. 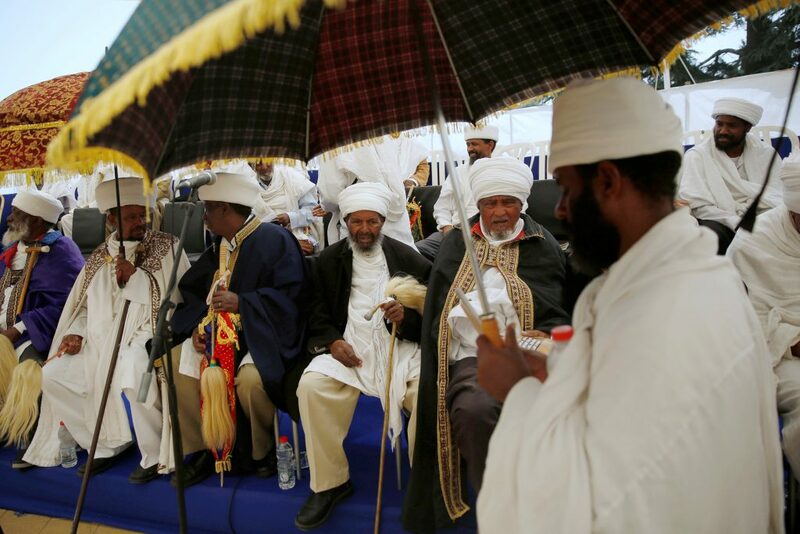 The fears we had in Ethiopia from these people, who persecuted us for many years, continue here.” The letter appealed to ministers to decide against allowing those awaiting entry to Israel to migrate here.